Last week, Arash Sadeghi, civil rights activist detained in Rajai Shahr Prison, was transferred to a hospital to undergo medical testing after he was recently diagnosed with a bone tumor. The test results have shown that he is suffering from a malignant tumor by the name of chondrosarcoma. Chondrosarcoma is the most common malignant bone cancer among the young. In this type of cancer, malignant cartilage cells develop into a tumor. It is estimated that up to one hundred cases of chondrosarcoma per year are recorded in Iran. Chondrosarcoma can both form on its own or transform benign existing tumors into malignant ones. The most common location for such tumors is in the pelvic, hip and shoulder regions. Its cause is still unknown. Pain and swelling in later stages are the primary symptoms of this type of bone cancer. The main form of treatment for chondrosarcoma is surgery and excision of the tumor and its marginal cells; radiotherapy and chemotherapy are not effective on this type of tumor. The prognosis for treatment of this specific type of cancer has improved tremendously in comparison to the past. In July Sadeghi was transferred to a hospital in Tehran under heavy security control. Meanwhile, the hospital officials refused to admit him, stating that his doctor was not available to see him; he returned to the prison without receiving any medical attention. 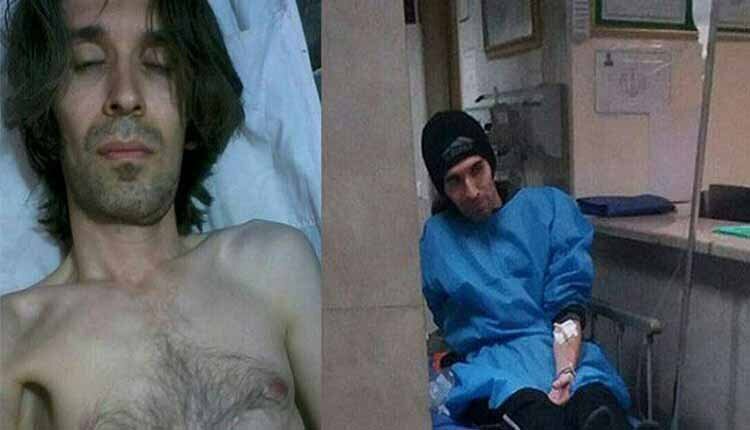 Subsequently, in a statement, Amnesty International demanded immediate action be taken to provide medical attention for Arash Sadeghi as he was diagnosed with a potentially malignant tumor in his elbow. Arash Sadeghi was sentenced to 19 years imprisonment by Tehran’s Revolutionary Court. In December 2016, Sadeghi staged a 72-day hunger strike in protest to the continued imprisonment of his wife, Golrokh Iraee.